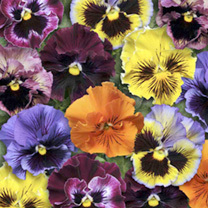 Ruffled flowers in bold, bright colours, many ‘blotched’. Thrives in cool conditions, flowering from November to May. Height 20cm (8"). For summer flowering, sow these little charmers from February-April. However best grown sown June-July for the following spring/summer. 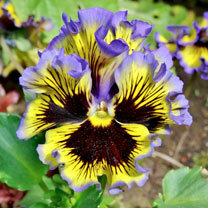 An ideal subject for baskets, containers or border growing. Height 15-20cm (6-8”).